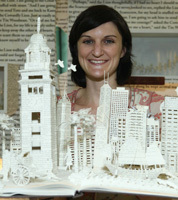 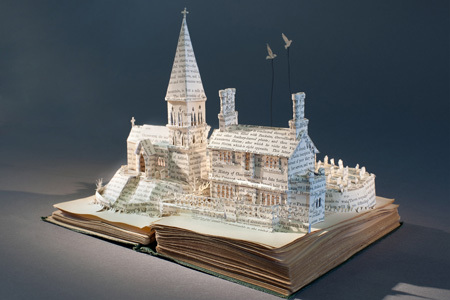 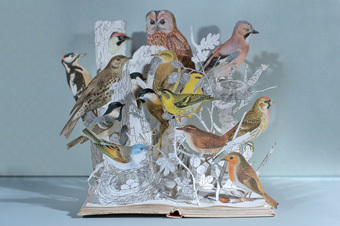 Su Blackwell makes intricate, narrative paper sculptures out of old books. 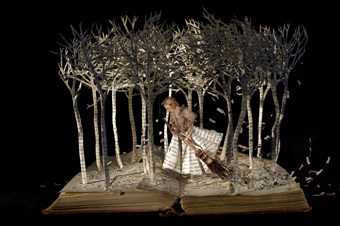 Her delicate forms are cut from the pages and seem to grow out of the body of the book to create a miniature fantasy world in paper. 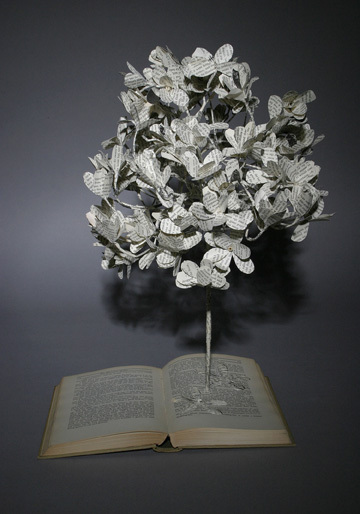 It’s all part of Blackwell’s interest in the cyclical nature of life, taking found objects and giving them new life by turning them into art objects.